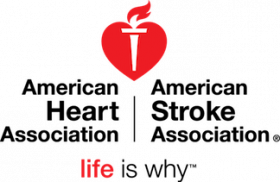 The American Heart Association (AHA) has an excellent opportunity for an Associate Guideline Advisor in our National Center office located in Dallas, TX . The successful candidate will be considered a joint employee of the American Heart Association (AHA) and the American College of Cardiology (ACC). This Assoc. Guideline Advisor is responsible for providing project management support to expert writing committee members during the development and production of Clinical Practice Guideline documents. You will become an expert in AHA/ACC guidelines methodology, procedures and style as well as Institute of Medicine standards. You will also be responsible for overseeing manuscript preparation for organizational approval and final publication in scientific journals. Act as: primary staffer for volunteer writing committee members, document project manager, and procedural expert for assigned AHA/ACC guideline writing committees. Build collegial and productive ongoing relationships with expert clinical and scientific volunteer writing committee members during draft development as well as kickoff and consensus conferences. Support writing committee literature review and preparation of study-based evidence tables and clinical practice recommendations including supporting text and references. Coordinate with staff evidence review specialists to facilitate statistical data analysis as required. Develop and maintain expertise in AHA/ACC guideline methodologies, styles and procedures as well as knowledge of the wider clinical guideline landscape. Facilitate content concordance between multiple guidelines to prevent conflicting information. Integrate written materials drafted by multiple authors into a single document using Microsoft Word and rigorously edit under the direction of the writing committee chairs. Assist guideline writing committee members with creation of figures and tables as needed. Prepare and manage schedules and track progress of guideline writing committees to ensure that the project is on schedule and deadlines are met. Proof-read final, approved documents for accuracy, format, and style. Prepare files for delivery to journal publications staff. Participate in professional meetings such as the American College of Cardiology (March) and American Heart Association (November) annual meetings and Guidelines-International-Network meetings throughout the year. Bachelor’s Degree in a related field of study. Minimum of four (4) years of experience in medical or health research writing or editing. Prior Heath Care content or Project Management experience. A passion for helping bring the best in evidence-based healthcare to a wide population. Excellent communications, customer service and volunteer management skills. Advanced MS Word skills (e.g., working knowledge of styles, section breaks, headers/footers, tables, track changes). Proficiency in Excel, PowerPoint, Visio and Adobe (Reader and Distiller). Must be able to travel overnight approx. 15% of the time. Experience with medical writing, proofreading and editing. Experience in association or similar environment with customer service orientation and committee management. Familiarity with reference management software (Endnote). Knowledge of systematic evidence review, development of evidence tables, and clinical research.